A strong earthquake with a preliminary magnitude of 6.7 has struck northern Japan, triggering a landslide that buried homes in a rural town, officials say. 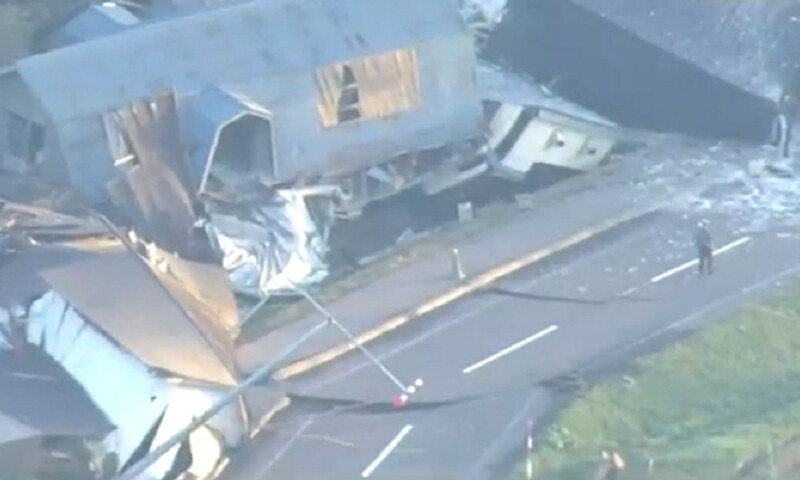 At least 32 people are missing and dozens have been injured. 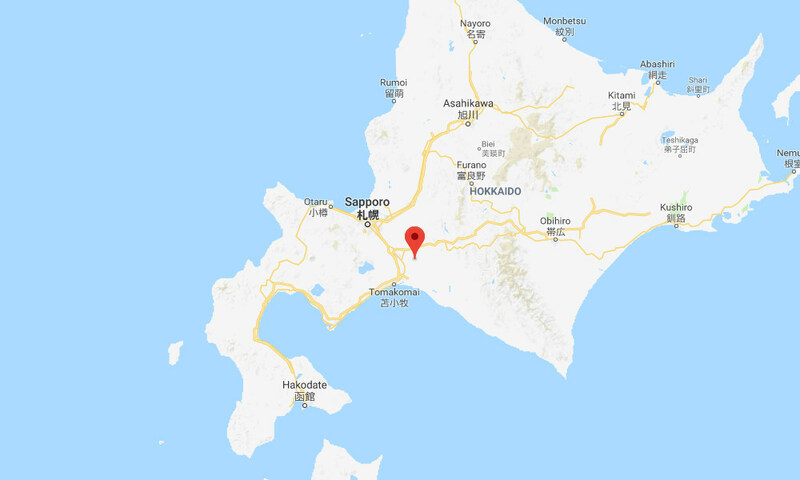 The earthquake, which struck at 3:07 a.m. local time on Thursday, was centered about 27 kilometers (17 miles) east of Tomakomai on the island of Hokkaido. It struck at a shallow depth of 33 kilometers (20 miles). The Japan Meteorological Agency (JMA) said the earthquake had a preliminary magnitude of 6.7, causing strong shaking near the epicenter. The U.S. Geological Survey (USGS) put the magnitude at 6.6. Footage aired on NHK showed that the earthquake had caused a large landslide in Atsuma, destroying an unknown number of homes. Several people were rescued by helicopter but 32 residents remained unaccounted-for as of 10 a.m.
Other buildings in the region were damaged by the quake and a fire erupted at a petrochemical plant in Muroran City. Damage was also reported at New Chitose Airport, forcing one of the country’s busiest airports to close. Authorities said at least 125 people had been injured, including an 82-year-old man who suffered cardiac arrest after falling down the stairs at his home in Tomakomai. One person was injured when debris fell at the airport. Widespread power outages were also reported, affecting nearly 3 million homes and businesses across the island. Train services were halted and the 119 emergency number could not be reached in some areas. There was no threat of a tsunami. Japan sits on the so-called ‘Pacific Ring of Fire’, an arc of fault lines circling the Pacific Basin that are prone to frequent and large earthquakes. Volcanic eruptions also occur frequently in the region. In March 2011, an enormous 9.0-magnitude earthquake struck off the coast of northeastern Japan, causing a devastating tsunami that wiped out entire communities and killed at least 15,893 people. More than 2,500 others are missing and presumed dead.